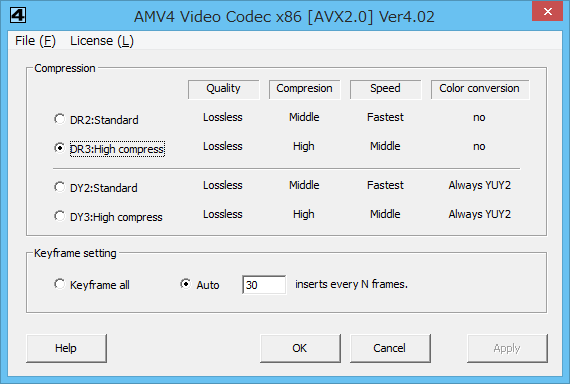 AMV4 video codec is a high speed and high compress lossless video codec for windows. 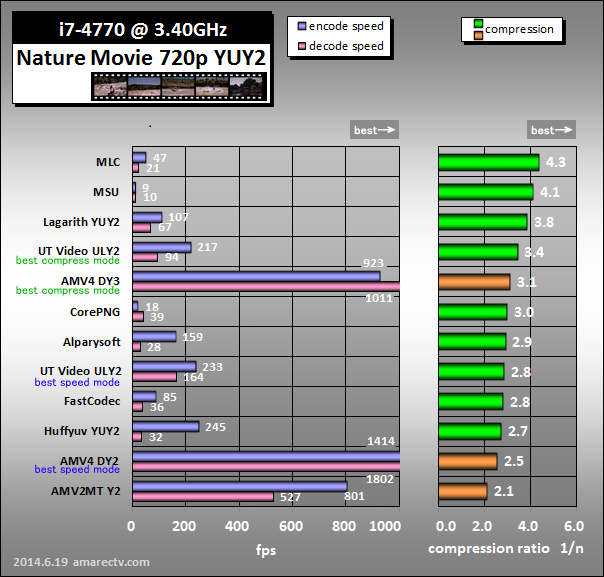 Support [64-bit x64] process and [32-bit x86] process codec include. 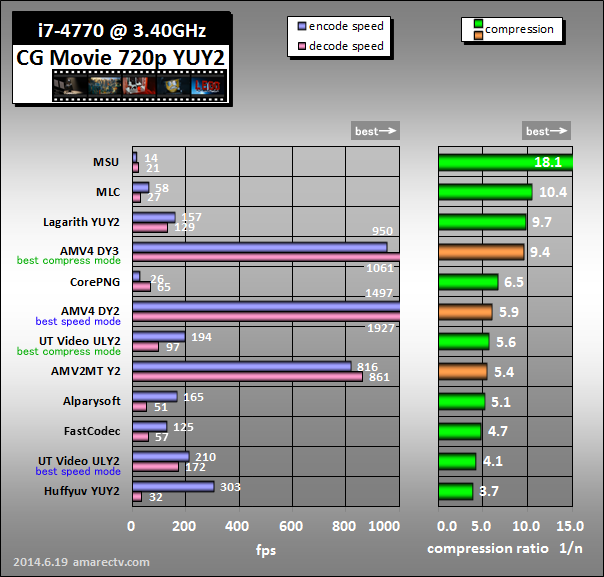 Support compression color fomat [RGB24] and [YUY2]. When the trial mode, AMV also "watermarks" the video. Please see "License activation" in Online Help. *When the RGB32, ignored alpha channel. *When the RGB32, alpha channel is always 255. *When the RGB, convert to YUY2 supported. However, FullHD 60fps or higher definition can be processed by One thread. Please see the report of a blog (Japanese) for details. The Codec get from codecs.com. [YUY2 TEST] Video capture source. [YUY2 TEST] Video capture CG movie source. 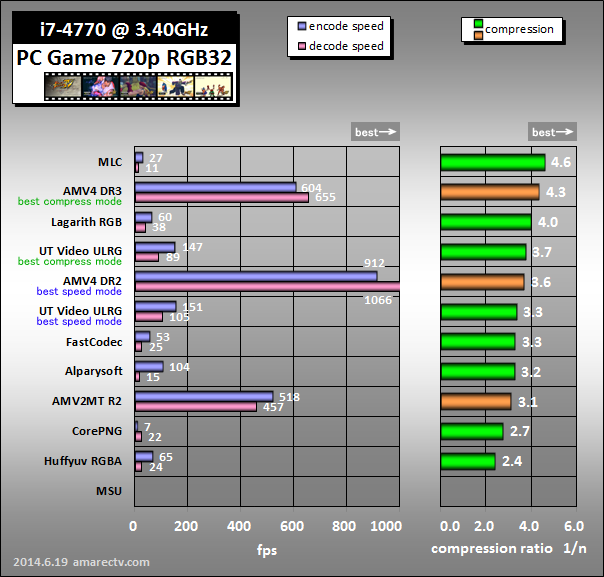 [RGB TEST] PC Game Capture of Street Fighter IV.